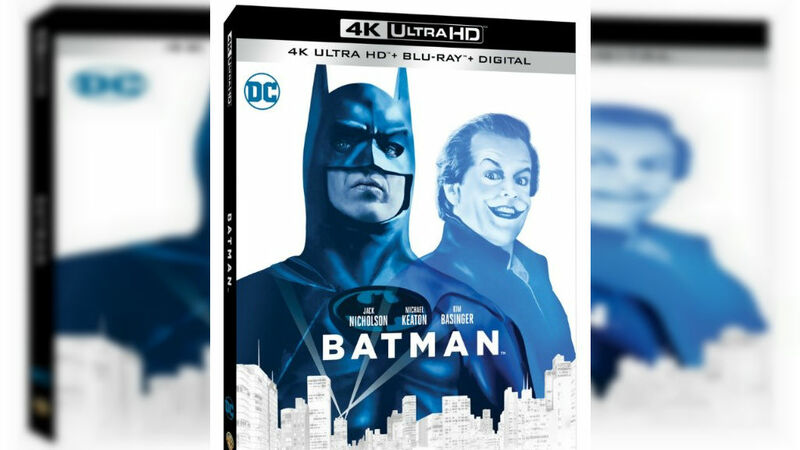 Warner Bros. has officially announced that it will release four classic Batman films on 4K Ultra HD Blu-ray: Tim Burton’s Batman and Batman Returns, and Joel Schumacher’s Batman Forever and Batman & Robin. All four titles will be available for purchase on June 4. A four-disc collection will also be available for purchase on September 17. All four films have been newly remastered in 4K and will feature a Dolby Atmos soundtrack remixed specifically for the home theatre environment to place and move audio anywhere in the room, including overhead. 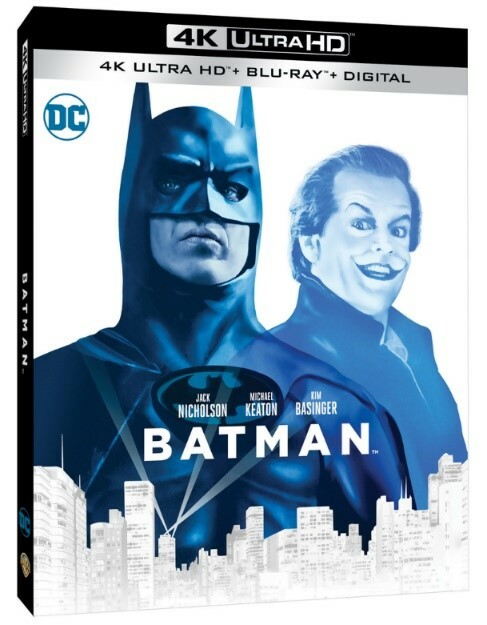 The 4K versions of the films will collectively include more than 17 hours of previously released extras, including full-length commentaries by director Tim Burton on Batman and Batman Returns and director Joel Schumacher on Batman Forever and Batman & Robin. Synopsis: After a young boy witnesses his parents’ murder on the streets of Gotham City, he grows up to become the Batman, a mysterious figure in the eyes of Gotham’s citizens, who takes crime-fighting into his own hands. He first emerges out of the shadows when the Joker appears – a horribly disfigured individual who is out for revenge on his former employer and generally likes to have a good time, but the identity of the `bat’ is unknown. Perhaps millionaire Bruce Wayne and photographer Vicki Vale have a good chance of finding out? Synopsis: Gotham City faces two monstrous criminal menaces: the bizarre, sinister Penguin (Danny DeVito) and the slinky, mysterious Catwoman (Michelle Pfeiffer). Can Batman (Michael Keaton) battle two formidable foes at once? Especially when one wants to be mayor and the other is romantically attracted to Gotham’s hero? Like the 1989 ground-breaking original, Batman Returns is directed by the wizardly Tim Burton. And like the first blockbuster, it’s a dazzling adventure that leaves you breathless. Synopsis: Riddle me this, riddle me that, you’ll find adventure on the wings of a bat! Brace for excitement as Val Kilmer (Batman), Tommy Lee Jones (Two-Face), Jim Carrey (the Riddler), Nicole Kidman (Dr. Chase Meridian) and Chris O’Donnell (Robin) star in the third spectacular film in Warner Bros.’ Batman series. Joel Schumacher directs, and Tim Burton co-produces this thrill-ride of a movie that thunders along on Batmobile, Batwing, Batboat, Batsub and bold heroics. Hang on! Synopsis: Chills and thrills: will Gotham City be put on ice? George Clooney is Batman as the dark knight battles his greatest threat yet: cold-hearted Mr. Freeze (Schwarzenegger) and venomous Poison Ivy (Thurman). Batman has more than Gotham City to protect: the youthful eagerness of crimefighting comrades Robin (O’Donnell) and Batgirl (Alicia Silverstone) puts them frequently in harm’s way. New very special effects include a wild sky-surfing sequence and Freeze’s outrageous ice-blasting arsenal. It’s state-of-the-art excitement from our Batfamily to yours.